The TSIIC Biotech Special Economic Zone(SEZ) located in Genome Valley Phase III, at Karkapatla village.This SEZ area expanded in 60 acres. Karkapatla is a village located in mulugu mandal of medak district. Due to reformation of Telangana Districts, karkapatla comes under siddipet district at present. Here we have given the related pharma companies list only, other companies focusing research on agriculture also located here. 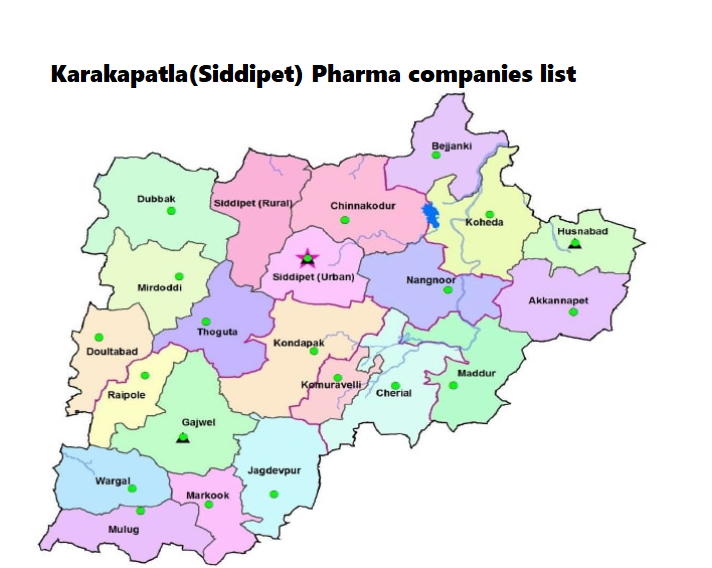 Following are the list of pharmaceutical companies in this SEZ. Karkapatla (V), Markook (M), Siddipet (Dist) – 502273, Telangana. Karakpatla (V), Markook (M), Siddipet (Dist) – 502281. Telangana. Karkapatla (V), Markook (M), Siddipet (Dist) -502279, Telangana. HR mail ID: For job opportunities visit company website. Karkapatala(V), Markook (M), Siddipet (Dist) -502281, Telangana. Karkapatla (V),Markook ((M), Siddipet (Dist), Telangana. Karkapatla (V), Mulugu (M), Siddipet (Dist). Type: Biomedical plant (Surgicals, cleaners and disinfectants). 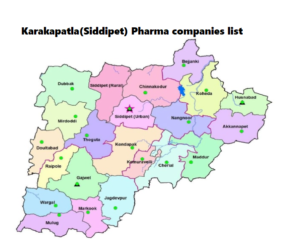 Apart from these companies in karkpatla, Siddipet district, three pharma companies located in Siddipet. Arch pharma labs 5 km far from Siddipet. Address: Watsol site, Siddipet-husnabad road, Mittapalli (V), Siddipet (M&Dist), Telangana. Address: Survey # 349/A, 350/A, 351, 356/3A, Pregnapur (V), Gajwel (M), Siddipet(Dist), TG. Please share and comment your opinion below.